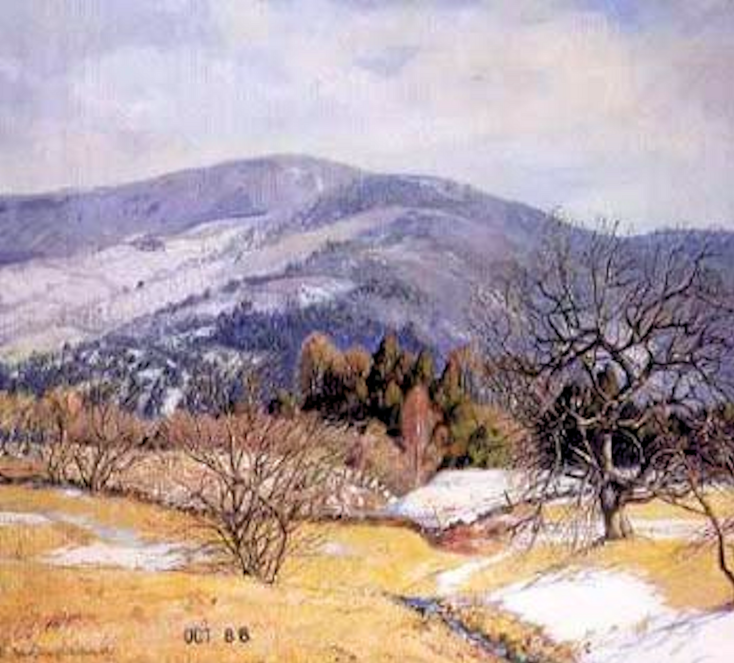 RSW- Artwork page, "Winter Song"
See also the... Landscapes & Views Gallery to view related pieces. See also the Exhibition List for a list of exhibited artwork. "Painted in1938. 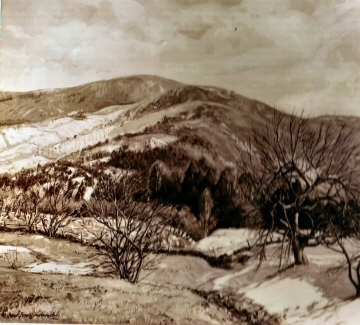 Painted in the late winter (or very early spring) from Orcutt Hill in Buckland. One of my most successful canvases. Foreground in 'open winter' effect with yellow grassland, and drifts and scrub apple at the edge of which is a band of forest and dark hemlocks, beyond which Putts Hill rises dramatically in grays and violets and light blues under a sky of white hazy clouds. Beautifully painted and designed. 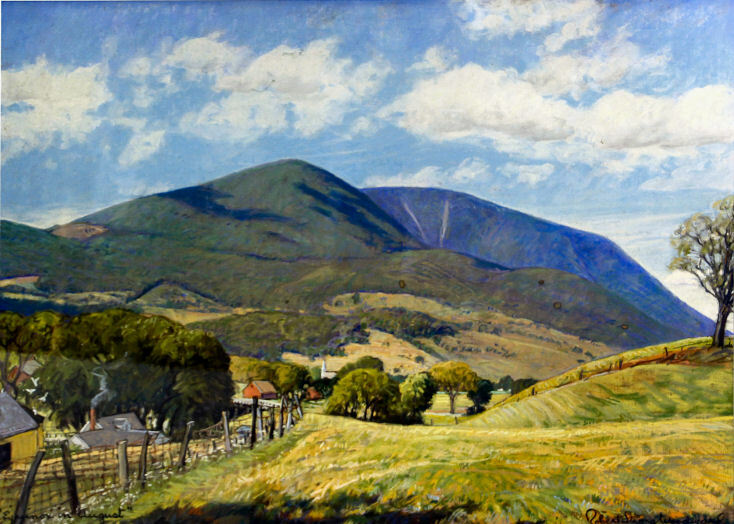 Exhibited about the country and at Golden Gate Exposition in San Francisco in 1939. Bought in summer of 1946 by Dr. and Mrs. B. T. Guild, Barkers Point Road, Sands Point, Long Island, N. Y. (At the same time they purchased The Chinese Lily which see.)" 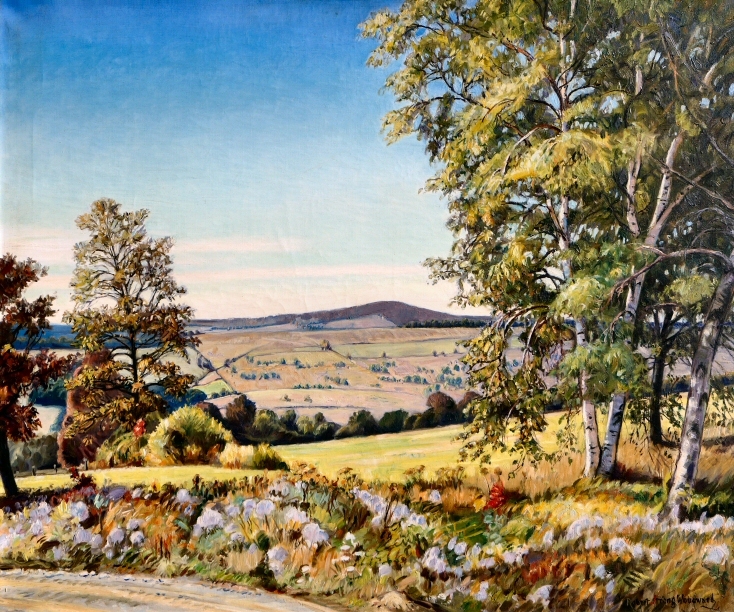 Painted of Putts Hill from Orcutt Hill in Buckland Center, Mass.